You will add many Cheats: Infinite Health , No Reload , Unlimited Ammo , Change EXP of Selected Character and many more. Hello and welcome to Apocanow, we present this article about the Trainer of SWORD ART ONLINE: Fatal Bullet We hope it will serve you and allow you to improve your experience with this game. We also have the tricks of SWORD ART ONLINE: Fatal Bullet! 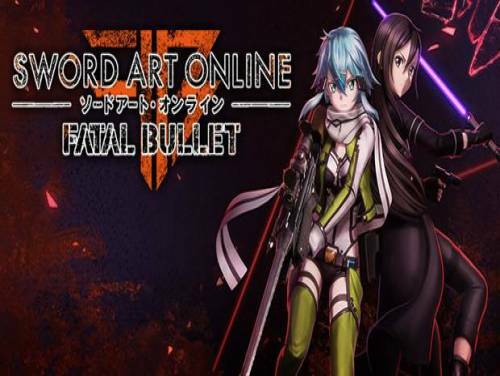 In our page dedicated to the tricks of SWORD ART ONLINE: Fatal Bullet you will find codes and unlockable to overcome all obstacles and arrive without any worries at the end of the game. We also have the solution of SWORD ART ONLINE: Fatal Bullet! In our page dedicated to the solution of SWORD ART ONLINE: Fatal Bullet you will find a video guide that will show you all the steps to complete the game. He becomes the protagonist of an original story in the world of Gun Gale Online. Create your own avatar and explore a wasteland in a exciting RPG action and gunplay in the third person. The program you are about to download was not created by Apocanow. However, we have permission to publish and publicize by the authors of the Trainer SWORD ART ONLINE: Fatal Bullet Trainer - v1.6.1. The contents of the file are virus free, even if sometimes they can trigger the AV as false positive. This game uses EasyAntiCheat. You MUST uninstall it in order to use the trainer. Visit to figure out how. you have to overwrite their launcher in the game installation directory with ours. or use editor to add more EXP. Open status screen and press hotkey or use editor. Reopen status screen to see changes. While active your gained EXP is multiplied by 2 (default). You can change the multiplier using the editor.